Now comprising a 5-piece band based between London and the South of France, Get Back Guinozzi! is the brainchild of two French friends, Eglantine Gouzy and Fred Landini. Front-person Eglantine is someone FatCat have been talking with for a while, having posted three of her solo tracks on our online demo MP3 archive way back in 2004. having remained in regular contact, in Spring 2008 Eglantine (at the time living alone deep in the jungle in India whilst recording a solo album) mailed us a CDR of the band project she'd been working on with Fred, which immediately enchanted us. 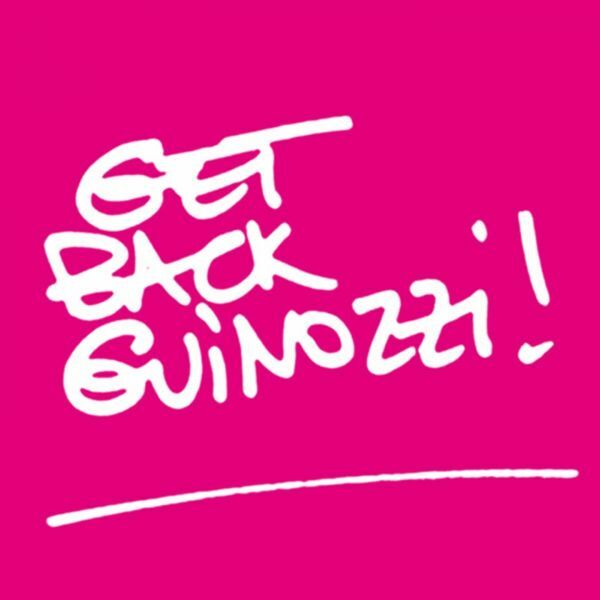 The roots of Get Back Guinozzi! lay in Fred's composing fifteen "one-minute tracks" for a contemporary dance company, using a minimal set up of a guitar, rhythm box, and only one keyboard sound. These compositions yielded the melody for the song 'L.A.' Having already collaborated with her on some previous tracks, he sent London-based Eglantine an early instrumental version of the song to work on and loved what she did with it. Fred then sent her the music for 'Go Back to School' and the pair were so excited by the results that they decided to form a band. 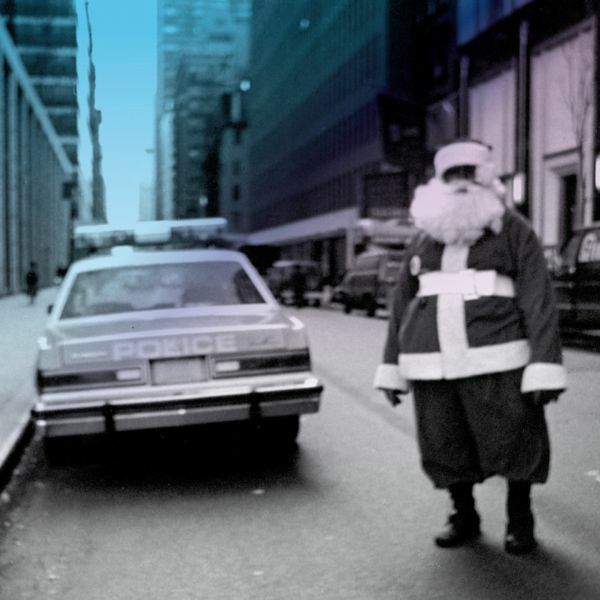 More tracks were sent across the internet during Winter 2007, with Eglantine adding vocals, some keyboards, percussion and weird electronics, until a full album worth of material was formed. Following further meetings and conversations, tracks were sharpened, more songs were recorded, and the album was eventually re-mixed by Michael Beckett (alias Schneider TM's Kpt. Michigan), and set for release on FatCat in October 2009. A five-piece band (drums, bass, guitar, keyboards, vox) was formed and played their debut shows in September 2008. The band's music is infectiously poppy, quirky and breezy, with a strong French slant and a wide range of influences taking in the likes of Talking Heads, The Feelies, The Smiths, New Order, early B-52's, King Sunny Ade, Lee Perry, Rip Rig & Panic, Ariel Pink, The Slits, The Cure, Robert Wyatt, The Residents, Animal Collective, Jonathan Richman, and Serge Gainsbourg. Also heavily infused with the exoticism of reggae, dub, African music, Tropicalia, and Cambodian music from the '60s, the breadth of sources it draws on and Eglantine's skewed narratives and heavily-inflected English give the project a distinctive individuality. Fred describes Eglantine's lyrics as being replete with fantasy and a kind of dark humor. "It's Eglantine's view of the world. It's an attempt at Zouk or tropical music with these lyrics that are a little bit spooky." Influenced by singers like Ari Up (The Slits), Pygmies, Laurie Anderson, Serge Gainsbourg, Allison Staton (Young Marble Giants) and Donna Summer, Eglantine likes "to imagine my own little movies where I can be different characters. I can make doubles of myself, I can transform myself - a real schizophrenic, sometimes within the same track." Following some time out after the recent birth of Eglantine's first child, Get Back Guinozzi! undertook their first proper bout of live touring in Autumn 2009. The band's debut single ('Low Files Tropical') was released on September 14th and followed a month later by the well-received album, 'Carpet Madness'.